One of the great cities of the world, Barcelona is also one of the best cities to enjoy a world-class hotel. 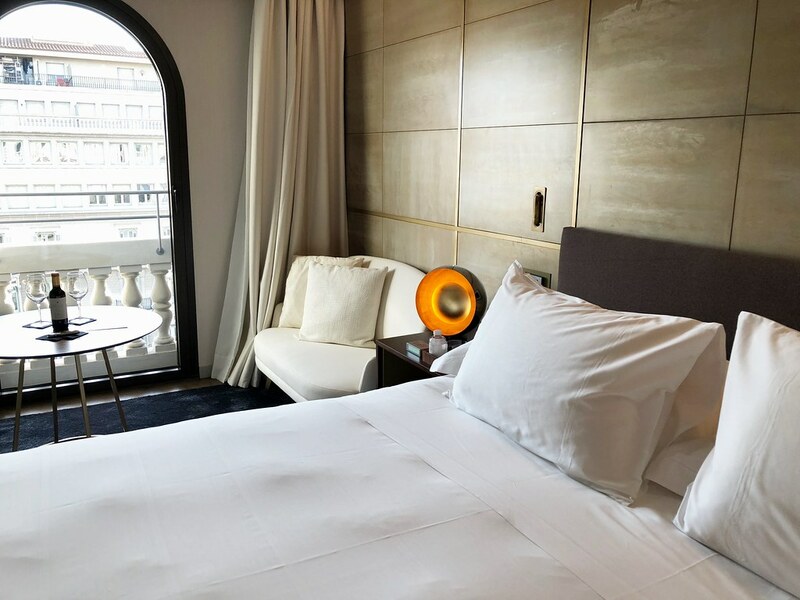 There are many options scattered around this ancient Catalan city, but in recent years new boutique luxury hotels have started to emerge, once again changing the hospitality landscape of the city. 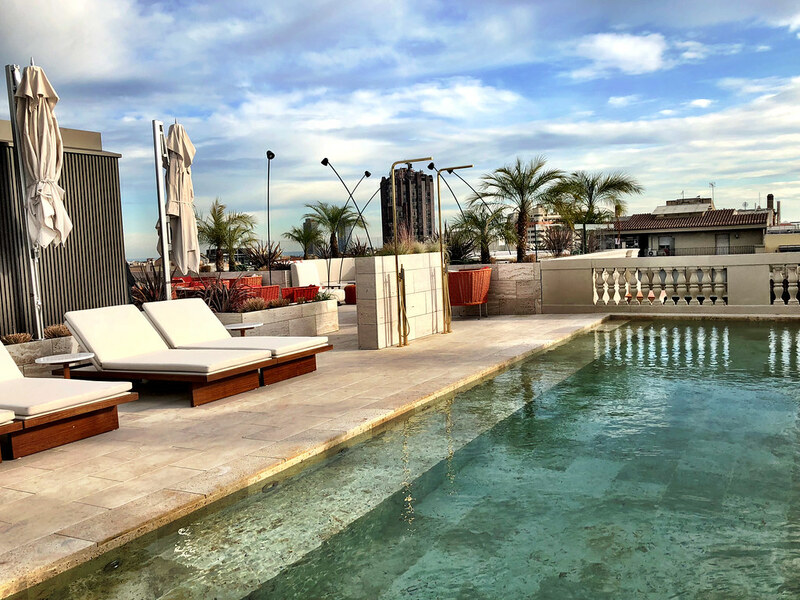 On my most recent trip to Barcelona I had the great opportunity to stay at the city’s newest luxury hotel, the Almanac Barcelona, still wiping off the dust following its soft opening. Unfamiliar with the small mini-brand I wasn’t sure what to expect, but immediately I knew I had found my new go-to address in the city. 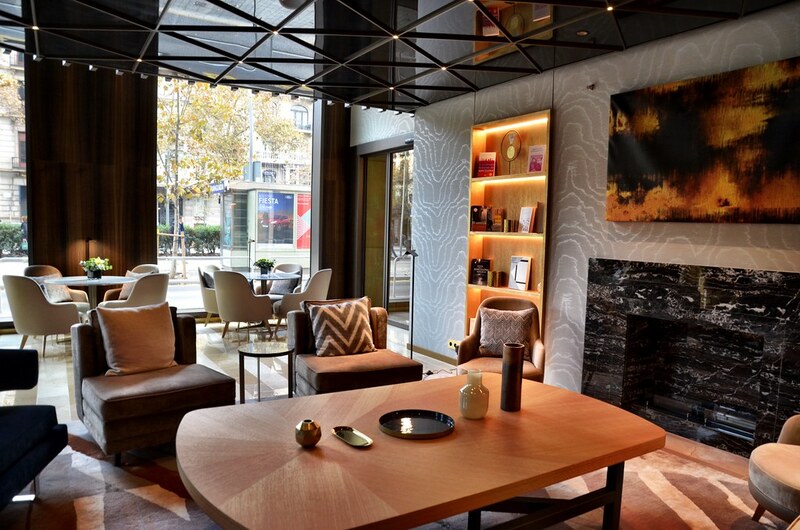 The Almanac Barcelona is the first in a collection offered by Almanac Hotels, with new luxurious boutique properties scheduled to open in Prague, Zagreb, Budapest and Vienna. So much more than just a place to spend the night, Almanac recognizes the needs and wants of the 21st century luxury traveler and is focused on a more holistic experience, seeking to make one’s entire journey special and memorable. Many companies have tried in recent years to unlock the luxury market for the next generation of travelers and, from my own personal experience, Almanac is one of the few to truly understand what that means. Feeling overwhelmed with kindness is an all too rare feeling in today’s modern travel environment. And yet, that perfectly sums up my welcome to the Almanac Barcelona. As soon as I crossed the threshold, everyone from the doorman to the reception staff went out of their way to welcome me into their home, a feeling that never diminished throughout the course of my stay. The Almanac follows the recent global trend in the luxury travel world; smaller properties that are expertly designed and incredibly comfortable. With just 61 rooms and 30 suites, that modest size allows for a finer level of design and detail, as well as service and quality. Entering my room, my eye was immediately drawn to the expansive windows and stunning views of the street below, but then I began to pick up the more subtle touches around the room. Elegance doesn’t have to eschew technology, and the Almanac has firmly embraced it. Most features can be operated via an in-room iPad and the house phone has taken the form of a handy iPhone. With plugs next to the beds and more than enough ways to stay charged and connected, it’s the perfect combination of features for the modern luxury traveler. It was also very much my haven while I was in Barcelona thanks to the wealth of textures and materials used throughout and bathrooms that seem more like mini-spas than a necessity. The Almanac may have the advantage of being brand new, but in the process of designing the hotel they didn’t overlook any detail. 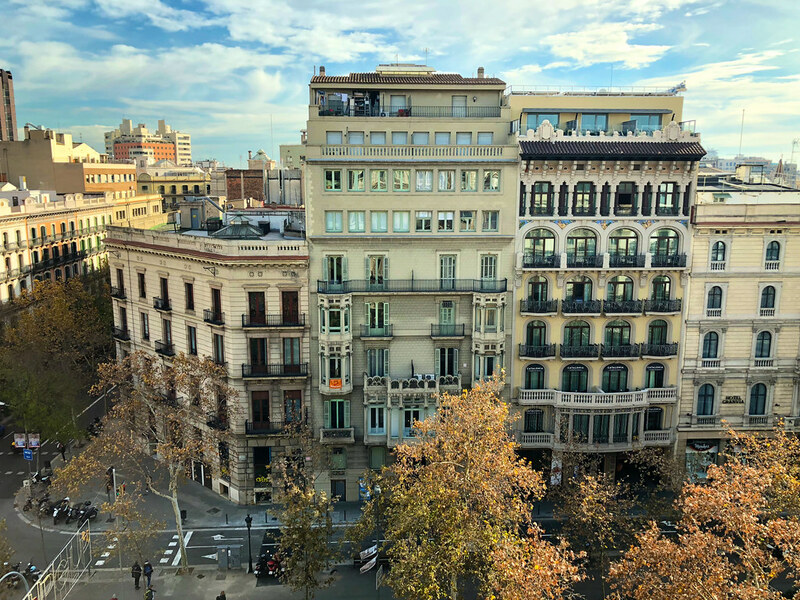 Just steps away from Barcelona’s famous Passeig de Gràcia, I couldn’t imagine a better location than the one enjoyed by the Almanac. Standing proudly on a corner in what used to be an old insurance building, today the Almanac Barcelona has a commanding presence over its well-known piece of real estate. The Passeig de Gràcia is the main shopping hub of Barcelona, and Spain really, and is also home to some of the city’s most famous architecture. Since it was a sunny afternoon I decided to spend some time walking and as I meandered up the street I couldn’t help but notice the incredible number of shops and restaurants I passed, each seemingly more posh than the last. But for me, the real highlights were the architectural treasures on the street. The Passeig de Gràcia has been an important street for a long time, and more than a century ago the city’s elite also called the street home. The result is homes and buildings so unique that they could only have been built in Barcelona, including two of Gaudi’s most famous – the Casa Milà and Casa Batlló. More than just shopping though, the Almanac’s location makes touring the top sights of the city easy, whether you decide to walk or take a short cab ride. Since I only had a couple of days in town before the start of a cruise, the location was ideal and helped me make the most out of my far too limited time in the city. Aside from the comfort of the rooms, food is very much a cornerstone of the Almanac experience and there are plenty of ways to enjoy both the world-class cuisine and the hotel’s natural ambiance. One of my guilty pleasures when I travel is to enjoy a well-done hotel breakfast and I’m always curious to see how different properties add their own unique twist to the somewhat quotidian experience. True to form, at the Almanac the breakfast very much reflects the neighborhood community. A modest buffet with all the essentials forms the base, but then guests are encouraged to order a variety of small plates to share with the table. A sort of breakfast tapas, it was a fun and delicious way to start the day. The Almanac though is focused on providing amazing culinary options throughout the day, which it does with ease at its main restaurant, Línia. 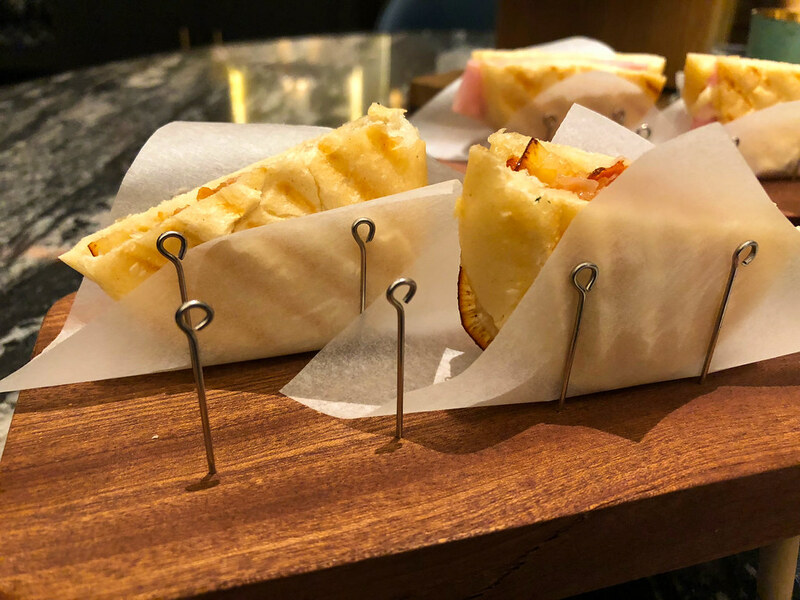 With both set and a la carte menus, the restaurant draws influence from the entire Mediterranean region, with emphasis on those delicious bites for which Spain is so very well known. My favorite spot to relax though is the Almanac’s rooftop bar and lounge, Azimuth, that offers both guests and locals a fun cocktail menu, light bites and amazing 360-degree views of the city. Whether you’re in town for just a couple days as I was, or planning a longer getaway, the Almanac Barcelona’s unique blend of location, style and comfort I think make it the ideal place to call home. 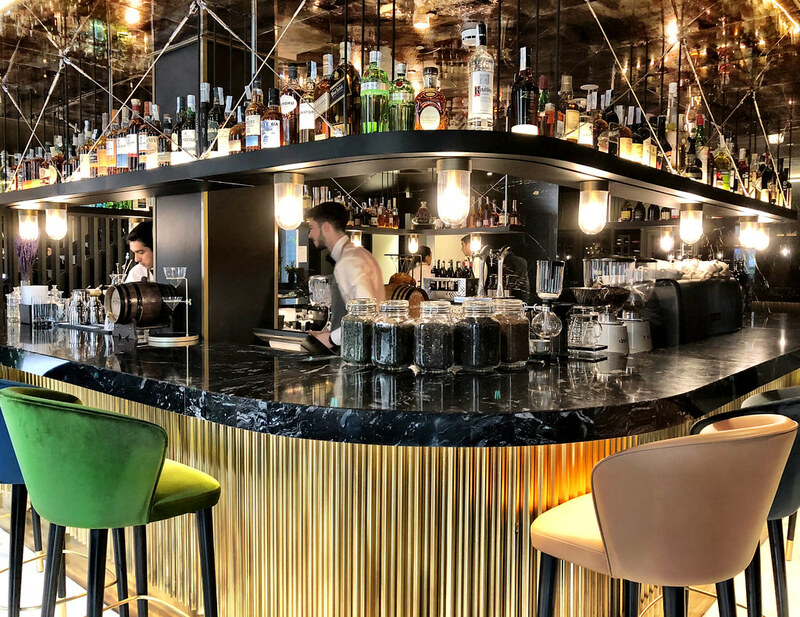 Add in incredible service, delicious food and a certain intangible quality of excellence, and it just might be the best new hotel in the city.